Selected in the 19th round of the 2003 draft. Before Motte was a full-time Cardinal, the Iona-product could be found under the lights of AutoZone Park. Motte donned the Redbirds jersey in 2004 and 2008, but had two completely different roles each season. In 2004, Motte made his Triple-A debut as a catcher and hit .200 (1×5) in three games for the ‘Birds. 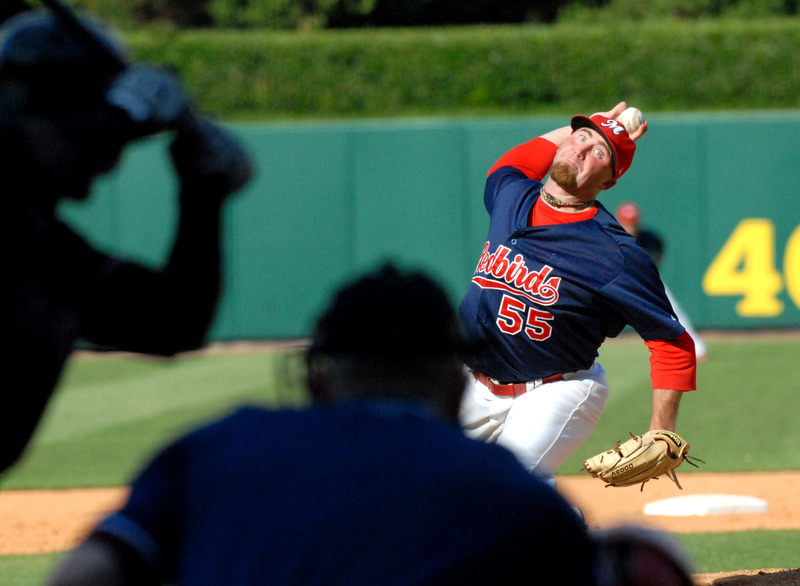 In the following seasons, Motte spent time working on his plate discipline at the Single-A and Double-A levels and eventually shifted his focus to pitching in the summer of 2006. The right-handed reliever made his return to Memphis in 2008 to establish a 4-3-9 record with a 3.24 ERA over 63 appearances. He led all PCL relief pitchers in strikeouts per nine innings, averaging 14.85. He finished the ’08 season by making his major league debut in St. Louis. The then 26-year-old helped the Cardinals close-out their season by twirling 16 strikeouts over 11 innings for a 0.82 ERA. 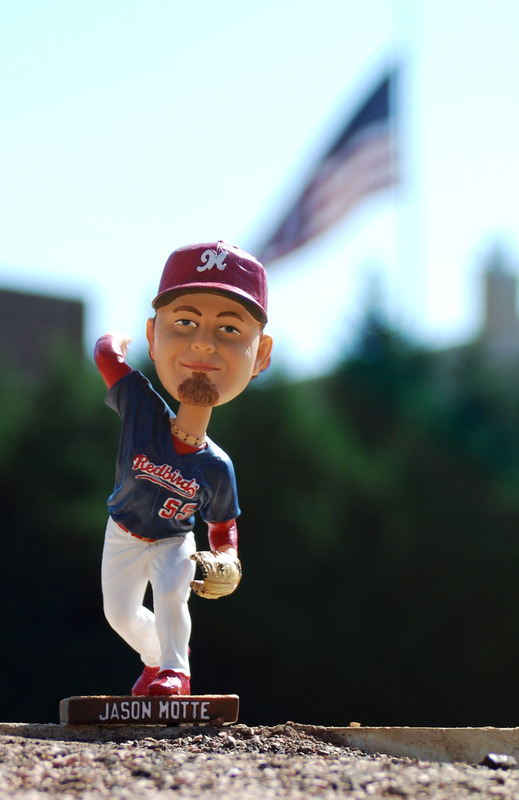 Arrive early to Tuesday August 18th’s Redbirds game against the Fresno Grizzlies, because the first 1,500 fans will receive a Jason Motte bobblehead. Gates open at 6:00 P.M.
*Thanks again to Allison Rhoades for digging up that Motte pic in the middle.